Zippo is a Hippo who wants to be so much more than 'just' a hippo. This fun children's book by Kes Gray and illustrated by Nikki Dyson reminds us all that you don't have to try hard to be something you're not and, most importantly, that every one is SUPER in their own way. 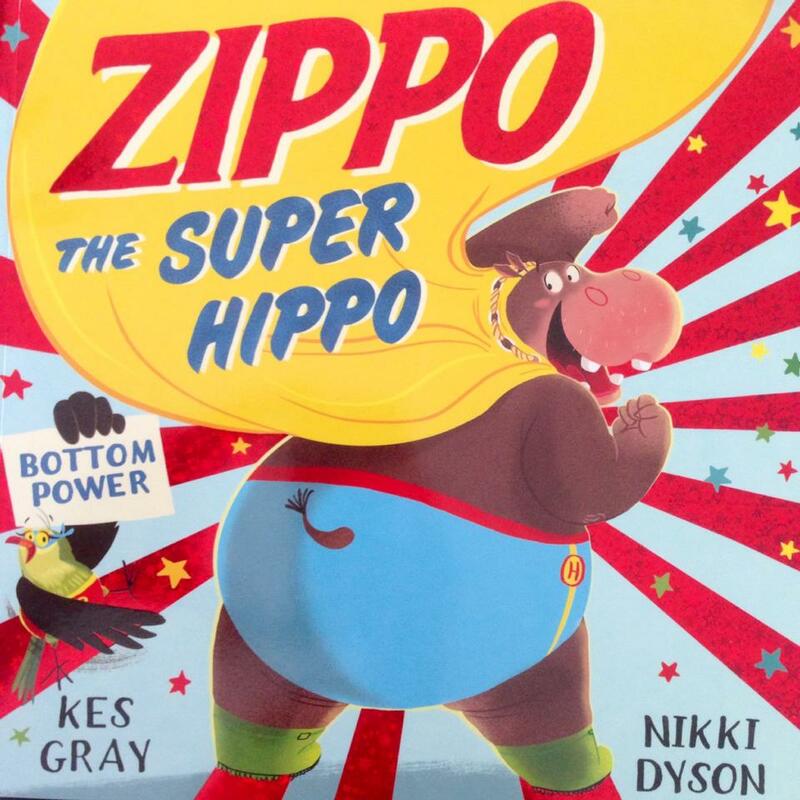 Zipp the Hippo wants to be a superhero - don't we all? Zippo wants a cape, a costume and a super power. With the help of his bird friend Roxi, he gives the whole flying superhero thing a try. But it turns out that Hippos aren't really cut out for flying. Eventually , as the result of one or two nasty falls, Zippo discovers the one thing about himself that really is super - his bottom! As with any story about bottoms, this book made Lara and Holly giggle... a lot. To me, Zippo the Super Hippo isn't a story that will stick in my mind as first choice for bedtime reading. That said, simply because it involves enormous bottoms, I know that it will be one that Lara and Holly request regularly!